The Transfer feature in CellSmart POS allows you to transfer products from one store to another. This allows you to add products to the inventory of your other stores and sell them. Then, click on the New transfer icon. 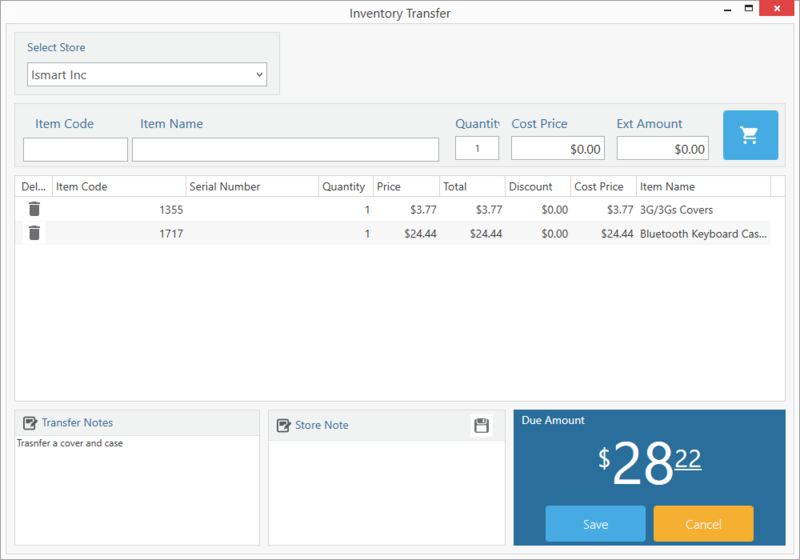 Enter the name/ item code of the product you are transferring to another store in the Item code field. Enter the quantity, cost price of the product in their respective fields. Click on the shopping cart icon to add the items to the invoice. Click save again and the transfer will be completed.